Thai Kitchen is a Thai, Vegan, and American restaurant where most Menuism users came for a romantic date, paid between $10 and $25, and tipped between 15% to 18%. "Foods great, as well as atmosphere. Nice service. " A diner from Bethlehem, PA tried it, liked it, and rated it . They liked the food, liked the service, and liked the ambiance. Foods great, as well as atmosphere. Nice service. 2 reviews of Thai Kitchen, first by RJones. 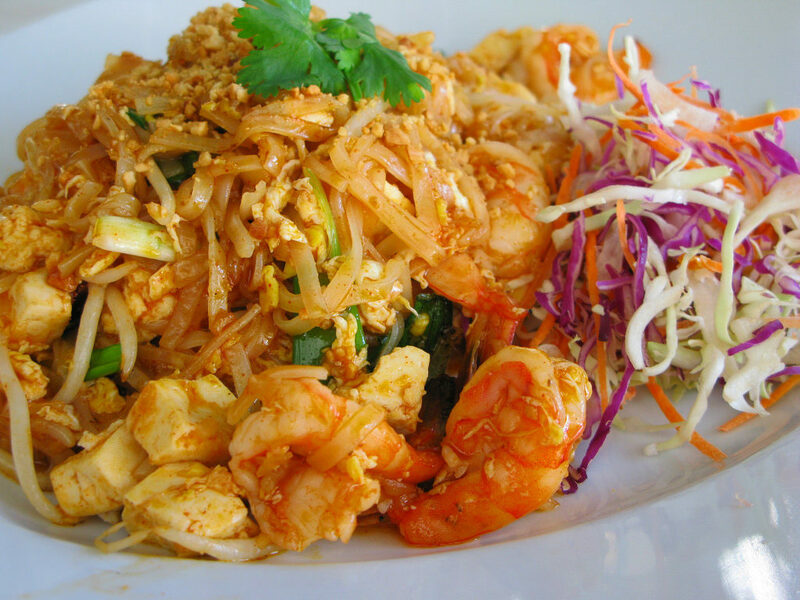 Driving by, Thai Kitchen is easy to overlook. It resides in a row home on a busy street in south side Bethlehem. Their hours are limited, only open 3 hours a day for lunch and 4 hours a day for dinner, closed Sundays and Mondays. However if you do manage to find it and stop by while they are open, you’ll find yourself in for a treat. The dining area is small with just a few cozy tables, if you are coming for dinner reservations would be a good idea. From the dining area you can see into part of the kitchen, which I always like. They are very vegetarian friendly and offer a variety of spice levels to the foods. I had a noodle dish, with wide noodles and vegetables in a sauce. I have no idea what it was, other than tasty. I’m looking forward to going back soon. a real find. We had spring rolls with a good dip, red curry and several other dishes. Beer from the bar several places from them. The mango icecream was also good. These dishes from the Thai Kitchen menu are contributed by Menuism users directly, as part of a restaurant review, or as part of a photo upload. Do you own Thai Kitchen? Contact us to connect with your diners. Thai Kitchen is located near the cities of Freemansburg, Fountain Hill, Butztown, Hanover Township, and Saucon Valley Terrace. People found this by searching for: Thai Kitchen Bethlehem Pa, Thai Thai Kitchen Menu, Bethlehem, Pa, Thai Kitchen Bethlehem, Thai Food Restaurant Bethlem, Pahe, Thai Thai Bethlehem Menu, Lucys Lunch Cafe .Comsouthbethlehem, Thai Fountain Hill, Bethlehem Pa, Thai Kitchen Bethlehem Menu, and The People Kitchen Bethlehem.Menu.